Following the likes of Meizu and Xiaomi, another star is born in the Chinese smartphone market. In fact, some may already know the man behind this new Android-based Smartisan OS: Luo Yonghao, a self-taught ex-English teacher (and later becoming the principal of his own English school until last August), as well as the founder of influential blogging platform Bullog.cn (now Bullogger.com) and the chairman of Chinese font studio Redesign. Luo is also a relentless consumer advocate, with his most notable act being his fridge-smashing protest outside Siemens' Beijing headquarters in November 2011, in order to highlight the company's refusal to acknowledge their faulty fridge doors (all explained in the "More Coverage" link at the bottom). Already a bit of a legend in China, the 40-year-old serial entrepreneur announced last April that he had formed Smartisan Co., Ltd. to work on a smartphone OS, and that it would shame all manufacturers with its revolutionary user experience. Having missed the December target that he promised, Luo eventually stood in front of some 3,000 people -- many bought tickets -- in Beijing last week to spend well over three hours going through the thought process behind his Smartisan OS, so bear with us here. 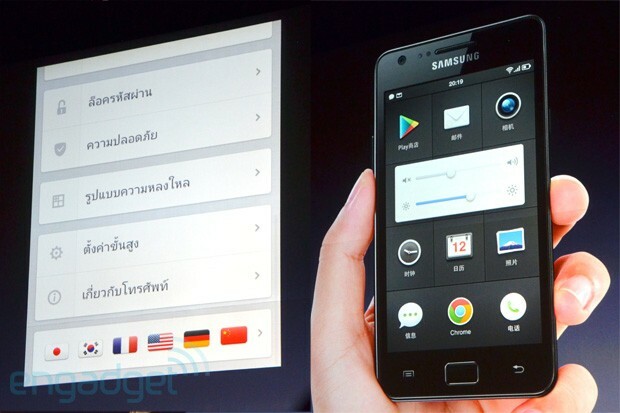 Update: Smartisan has now provided a subtitled video of the event. Check it out at the bottom of this article. Unlike the lead images of this article, the clever play with the name "Smartisan" is much better at reflecting the company's insane attention to detail (Luo actually wanted just "Artisan" to show his appreciation for great craftsmanship, but the trademark was already registered by ARM). Known for his ability to talk on stage for hours at his annual entrepreneurship talks, Luo did us a favor by breaking his presentation down into four parts: Visuals, Functions, Humanization and "two more things" -- a light-hearted homage to Steve Jobs' classic keynote act. 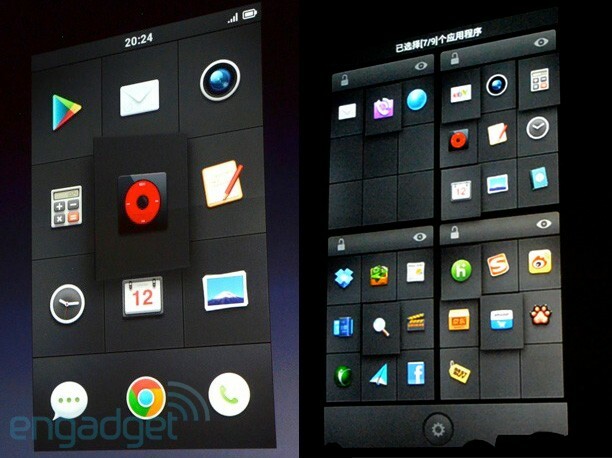 For the Visuals part of Smartisan OS, Luo dived straight into other Chinese manufacturers' "unhealthy" obsession with iOS' square icon style and grid layout, followed by ridiculing some icons that render the original objects (like balls, wheels, shoes or even toilets) much less recognizable and meaningful in their deformed shapes. Even Lenovo's circular icons couldn't escape from Luo's verbal rage -- they are "damn ugly" in his view. On a related note, Luo is also baffled by how Apple's desktop icons don't suffer from the square problem forced upon their mobile counterpart. In comparison to all the screenshots above, Smartisan's approach is much more appealing to the eye. As a strong believer in closed systems for the sake of quality control, Luo's first step towards that direction is to revamp the icons for over 1,000 apps -- about 200 to 300 of which are already done as of the press event. The goal is to offer icons that look official yet futuristic, and from what we saw on the stage, our favorites were the authentic-looking hairy paw for Baidu Search (the audience had a good laugh over that one) and the more vibrant triangle for Google Play -- something that Luo hopes to eventually replace with Smartisan's very own app store. Obviously, the current team of 24 strong can't do this alone, so they'll be receiving submissions from graphics designers via Smartisan's forum; and in return, these folks will get a mention in the OS, especially in the menu where you can toggle between the original icons and the enhanced icons. Another key to the clean look of Smartisan OS' launcher is the combination of a smaller grid, the dark background and the lack of icon labels. For the four-by-three grid (as opposed to five-by-four on most smartphones), Luo reasoned that most people don't use more than 12 icons every day, thus allowing bigger icons for each panel of 12. This is visually enhanced by the removal of wallpaper option, a decision that Luo believes was intentional in the first version of iOS, yet eventually revoked by Apple due to the missing feature being one of the main reasons for users to jailbreak back then. Outspoken as ever, Luo went as far as calling mobile manufacturers that provide scenic wallpapers "bumpkins." As for the removed icon labels, Luo believes that the icons can speak for themselves, and that the users who install those apps should know which is which, anyway; but they can be enabled in system settings. Each icon panel gets a light shade to make them stand out individually, and every time you turn on the phone, they all animate very briefly by lightly popping in and out. 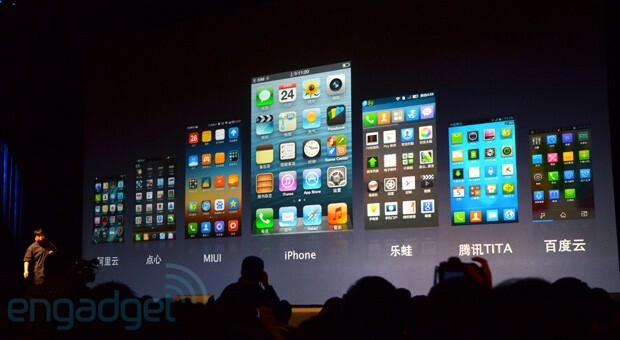 Users will be familiar with the usual drag-and-drop icon management action, but unlike most phones where you have to slowly drag one icon across multiple home screens, Smartisan OS speeds up the process by letting you zoom out to an overview of four home screens with 36 icons (or even up to nine home screens with 81 icons on full-HD devices), where you easily drag one icon from one screen to another without having to wait for the screen to switch, or without having to use a second finger to swipe to the next screen (as nicely implemented by at least HTC and Xiaomi). In the multi-home screen mode you can also select several apps from different screens and then place them into the same one. You can see this all at 45:58 in the video at the bottom of this article. Another handy feature here is the ability to hide or lock certain panels, and we can already imagine the use case of stowing away rarely used system apps or bloatware. Luo wasn't afraid to joke about hiding the naughty apps this way, either. But going back to the subject of bloatware, Smartisan OS will be bundled with just a few apps that Luo considers to be the cream of the crop in the Chinese market: Momo (a local "flirting" app), WeChat (IM app, but still in discussion), Sina Weibo, Youku (video platform) and Sogu input (customized by Smartisan). Luo insisted that there's no business relation here at all and users are free to uninstall these, unlike the ones that are tied to most other smartphones these days. It's clear that most of these enhancements are based on simple modifications rather than technological breakthroughs, but then again, these seemingly obvious tweaks should serve as a wake-up call to the other mobile manufacturers. Of course, there are still a lot of unanswered questions, but we suspect Smartisan will have a lot more to show the world following its inspirational debut. 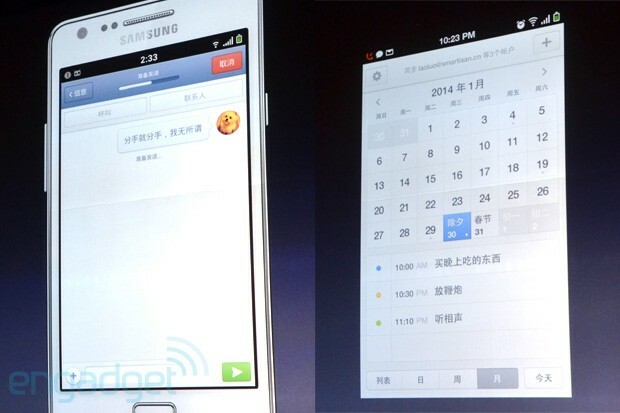 After humbly thanking CyanogenMod for the resources and even McDonald's for the late night deliveries, Luo announced that the first public beta for select devices (including the Galaxy S II as shown in the demos) will be available on June 15th, followed by Smartisan's very own hardware at some point next year -- by which point Luo will stop supporting third-party devices. "Only Luo's hardware is worthy of Luo's software," said the flamboyant entrepreneur.